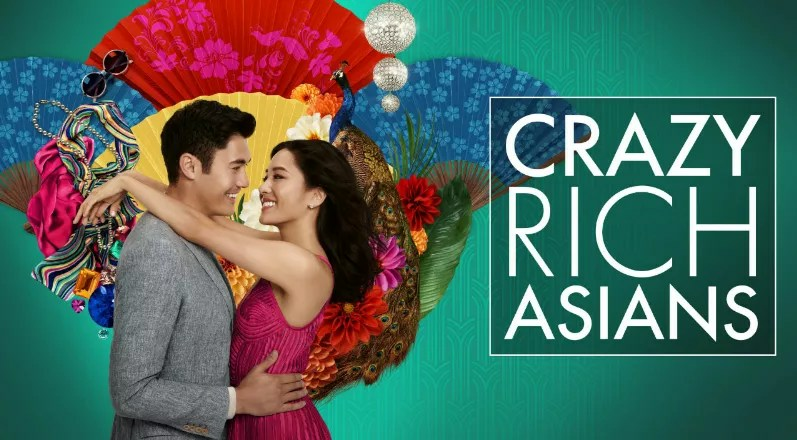 Crazy Rich Asians – Um, if you haven’t heard, the world kind of went wild for this movie when it hit theaters 3 months ago. Now it’s at the Box and On Demand, so don’t miss your chance to watch it … or watch it again! It’s based on Kevin Kwan’s 2013 best-seller about a couple, Rachel (Constance Wu) and Nick (Henry Golding), who have quite the unique obstacle to overcome: he’s insanely rich, and she had no idea. Until now, as they travel together to his home country of Singapore, where his family is like royalty. Rachel will have to deal with Henry’s disapproving mother (Michelle Yeoh), jealous ex-girlfriend (Jing Lusi) and a whole new world of privilege, though thankfully she’ll have her hilarious best friend from college (Awkwafina) by her side. But will that be enough to help her relationship with Nick survive? Prepare to be CHARMED. This is one of the best romantic comedies I’ve seen in years. Special surprise: we’ve got an extended preview for you at the end of this article. Check it out! Film Stars Don’t Die in Liverpool – Here’s another “against all odds” romantic tale, only this one is based on a true story. Annette Bening stars as the Oscar-winning black-and-white film actress Gloria Grahame, whose career hit its peak in the early 1950s. But that glamorous period is not what this movie is about. Instead, it’s set 20 years later, when Grahame’s Hollywood days are all but over and she’s living quite pathetically in a Liverpool boarding house. Then she meets Peter Turner (Jamie Bell) — a young actor who’s just beginning his career on the stage — and they begin a May-December romance that neither of them expected. Though Gloria’s final years are sad, I loved the film’s message that although love cannot always be explained, when it’s real, it transcends everything. Juliet, Naked – This is a fantastic movie overall, but I think it’ll especially speak to my fellow Gen X-ers. It’s about slacker-dude Duncan (the always-great Chris O’Dowd) who’s the head fanboy for ‘90s singer-songwriter Tucker Crowe (Ethan Hawke, seriously bringing his Reality Bites vibe). No one’s seen or heard from Crowe in years, so when Duncan receives a new demo recording of “Juliet,” Crowe’s most celebrated album, he immediately posts it to his fansite and continues speculating on the singer’s whereabouts. But some people aren’t such fans of Tucker Crowe. Duncan’s girlfriend Annie (Rose Byrne), for example. She is over Duncan’s obsession with the singer, and so she posts a scathing rant about the new demo on Duncan’s site. Which Tucker himself decides to reply to. Annie and Tucker then proceed to trade barbs, and, well, I bet you have an idea of where it all might lead. But even if you’ve actually read the Nick Hornby novel on which Juliet, Naked is based, you should still check out this adaptation. Because its ending is different, immensely satisfying, and not what you expect. So make your pick, pile on the blankets and snuggle down for date night!